Our official favorite makeup brand from the days of collecting multiple sets of Claire’s earrings and hitting on boys who worked at Auntie Anne’s pretzels is still keeping it relevant. The forever young Wet n Wild launched a new collection of makeup just in time to say farewell to 2016 and beg for mercy at the feet of 2017. As a way to brighten up the dark corners of social media, Wet N Wild just dropped the news on Twitter and Instagram that they have pre-released a few products from their brand new makeup collection as a gift to all their fans and followers. 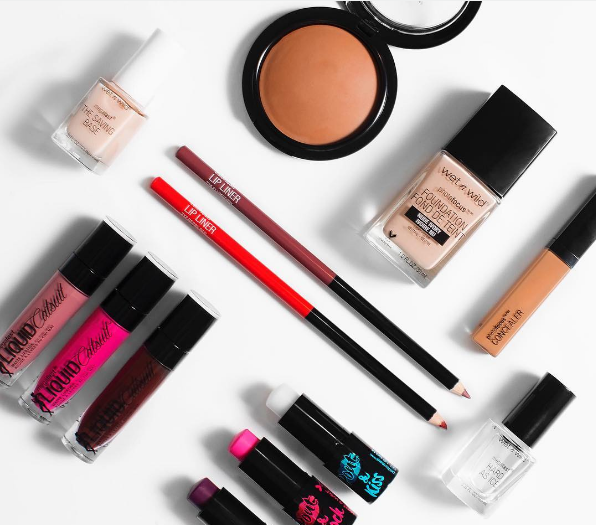 Even their announcement photo features a variety products spanning all your makeup needs including concealer, foundation, brightly-colored lipstick, lip liner, and multiple coats of nail polish. Also, when you check out the new products on the Wet N Wild website you’ll soon realize they’re all affordably priced under $10. The popular drugstore makeup brand will be giving makeup lovers the gift of photogenic skin with their new PhotoFocus foundation. You can also pucker up for their new MegaLast Liquid Catsuit Matte Lipstick, which comes in 13 different shades. You can check out their generous selection of new makeup on the Wet N Wild website. Whether or not you really NEED it, it’s so colorful and inexpensive, you might as well try some of them out!